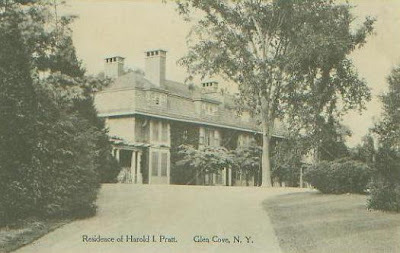 Harold Pratt's 'Welwyn' in Glen Cove before it was altered by Delano & Aldrich. I wanted to let you know how much I enjoy your blog. I tried to email you, but no address pops up. I would like to provide a link to your site, and just wanted to check with you first. This is magnificent - where are you finding these photos? The old postcards of the homes are a little hard to find as they are scattered all over the place. Ebay is probably the best place to look.